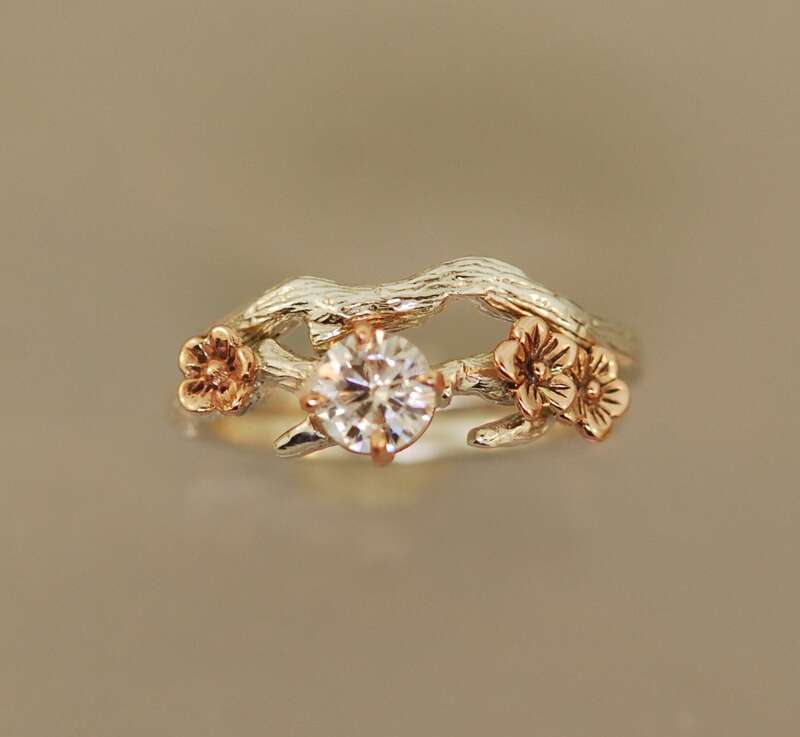 This unique ring features a forever one moissanite that is nestled in-between solid 14 karat gold cherry blossoms. 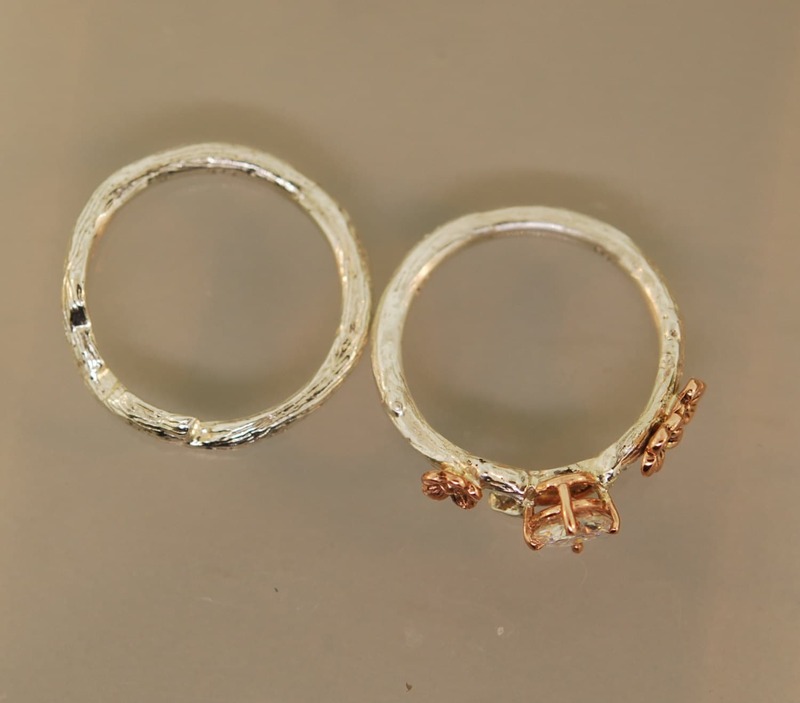 The band is available from this listing in sterling silver or 14 karat white gold. 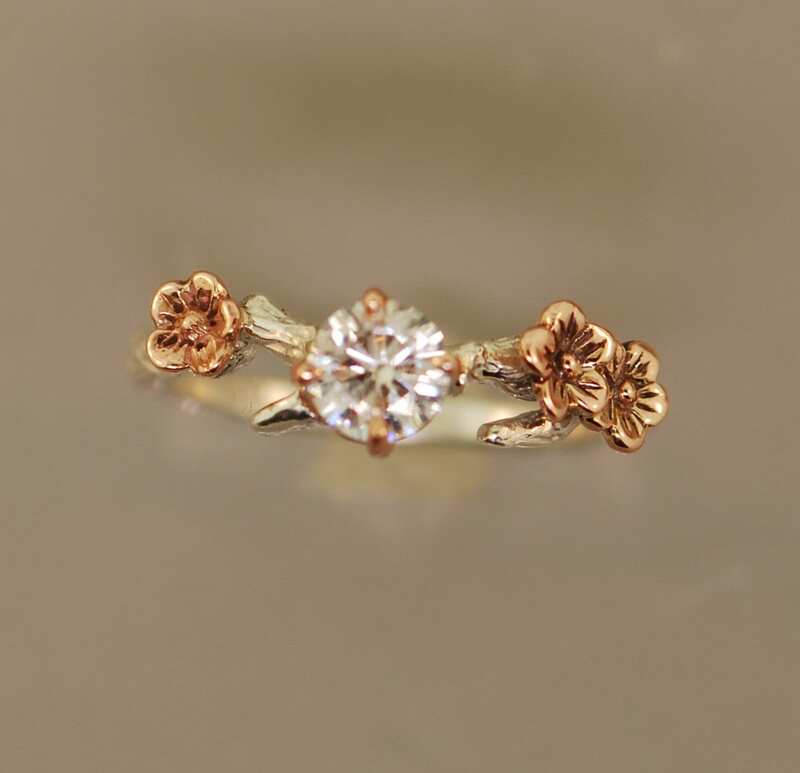 If you would like a different combination please email me.The setting for the moissanite and blossoms are solid 14k rose gold. The stone will be a 5 mm forever one moissanite from Charles and Colvard with a certificate. 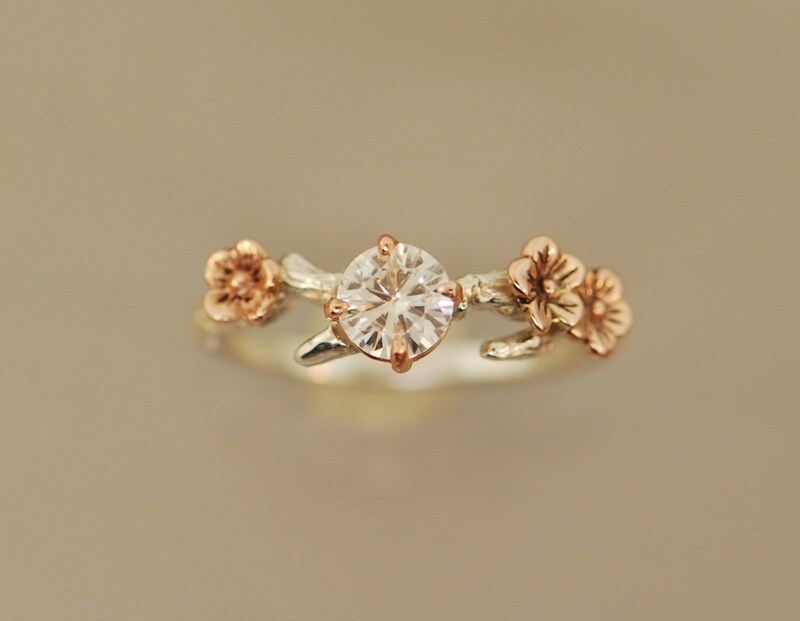 This ring makes a great alternative engagement ring, perfect for the nature enthusiast. 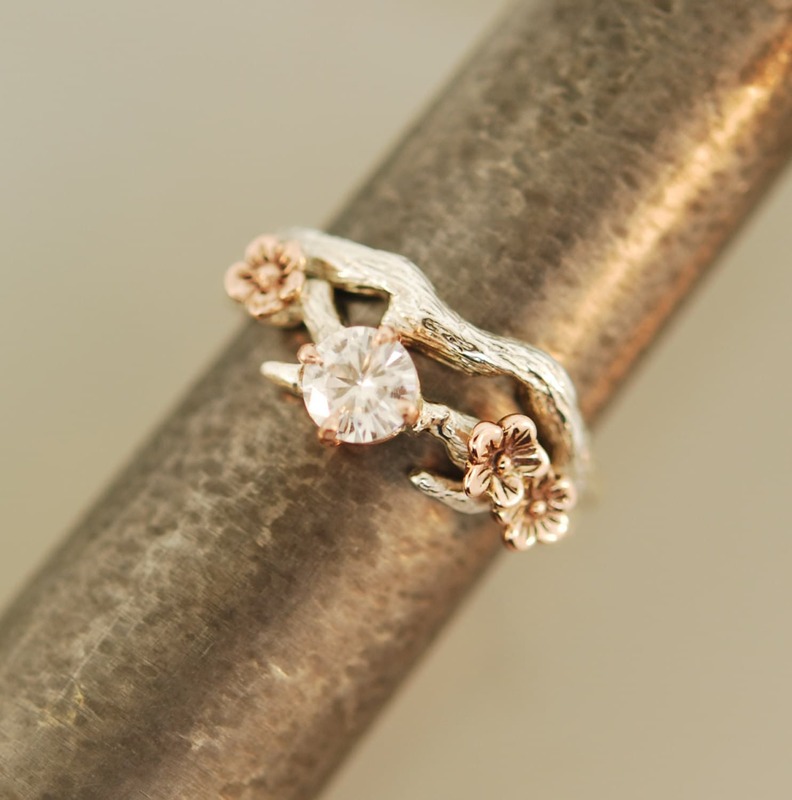 This listing is for the engagement ring in the listing . If you want the band please see the link below. If you like I can change the ring in many ways. I can change the stone or change the metal. Please email me with your favorites.